Virus Scanner Plus lets you scan running apps, scan critical locations, scan the entire system whenever you choose, or even activate Continuous Scan to keep Virus Scanner Plus running all the time. If you download or receive an infected file or attachment your Mac will be protected and your friends’ computers safe. 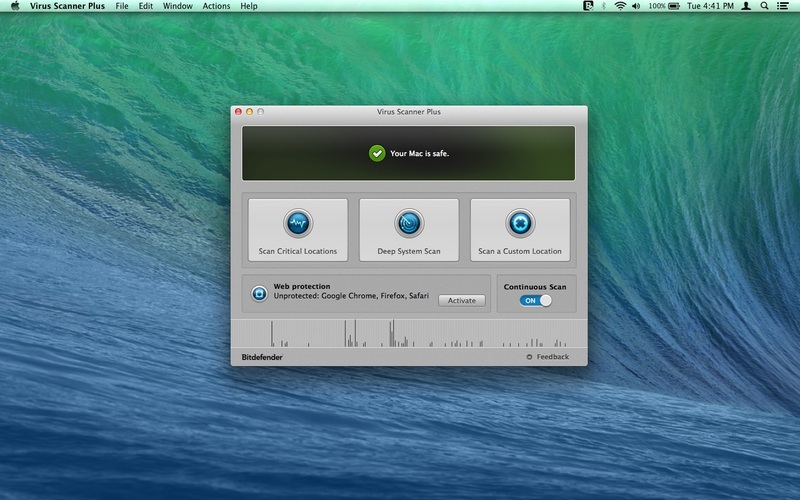 Mac App Blocker 3.2.1 – Password-protect apps. TokenLock 4.55 – Professional-grade Mac locking. Hands Off! 2.1 – Monitor and control application access to your network and disks.